Even the name itself suggests a bit of a random crap shoot of a tournament and that is maybe what we will get with this new event hosted by Thomas Pieters and his family in their hometown of Antwerp, Belgium. With The European Tour already having had two quirkier match play events so far in 2018 this is a further twist still. The field will play 36 holes of stroke-play before the top 64 qualify for the weekend and knock-out matches consisting of 9 holes of stroke-play. If that’s not enough then the course in use for stroke-play is a combination of 9 holes from the North course and 9 holes of the South course and from the little information available it would seem that 1/2 of the knock-out matches are played on one of the 9s and the other half on the other 9. So any angle in this week will surely involve more than a little guesswork. Both courses are quite flat, parkland courses and they definitely resemble some of the places that we have seen the British Masters at in recent years. The South course looks to be more like the open Close House and The Grove while the North course is probably more like the tighter Woburn and Wentworth courses. The leaderboards at those British Masters and the BMW PGAs at Wentworth could well throw up some clues as to who might make the weekend if nothing else. Once they get to the knock-out stage I think the stroke-play format will require steady golf rather than the aggressive approach that often thrives in match-play. One big number early would put a player right up against it so I’d think twice about backing someone who is known to be too aggressive or incapable of strategising. Very much in keeping with the Lagergren pick last week I’m going with a player who has been threatening to win lately and despite a missed cut last time out in China he isn’t someone we should be forgetting about quickly. Erik Van Rooyen has exuded tee-to-green class in his debut season on the European Tour and he currently ranks 7th in strokes gained: tee to green (only Pedro Oriol is above him in this field). He is an extremely frustrating player on the greens as the majority of his putts never look like going in the hole at any point but his poor putting really is in direct contrast to his sublime tee to green game. The South African hits the ball long, straight and accurately so can be a threat almost anywhere but so far he has come a little unstuck with Sunday nerves and bad putting at key moments. With very flat greens this week in Belgium they could be a bit of an equaliser so that may not be critical. If he can make the weekend then his long game assurance will make him hard to beat over 9 holes of head to head stroke-play and he looks a nice bet at 50/1 with 4 places and also with 8 places at just 40/1. With us never having seen this event it is hard to gauge whether to play win only or each way but even in a normal week we run the risk of missing the cut so I will stick with each way and advise the 50/1 with the place money paying out on semi-finalists. I wouldn’t put anyone off the 40/1 with 8 places either. I know Ryan Fox ideally likes a little more room off the tee than we are seeing here but he should enjoy the more open South course at least. I was very surprised he didn’t play last week as the course in Sicily looked custom-built for the bomber. But I’ll bow to his judgement and he must have mapped out a schedule that he is happy with and that includes the Belgium Knockout. It could be that he fancies the format but as I mentioned the other week when I backed him, this is getting to his time of year and if his irons are dialled in then I think we should see the Fox who finished 12th at the Trophee Hassan two starts ago rather than the lacklustre one who was 37th in China the week after. There really isn’t too much to beat here and his form last summer is a step above 95% of this field. Romain Wattel opened up a huge price for someone who looked to be playing very well at the GolfSixes event. The 80/1 should really have gone but there is still plenty around and with that he will complete this week’s team. 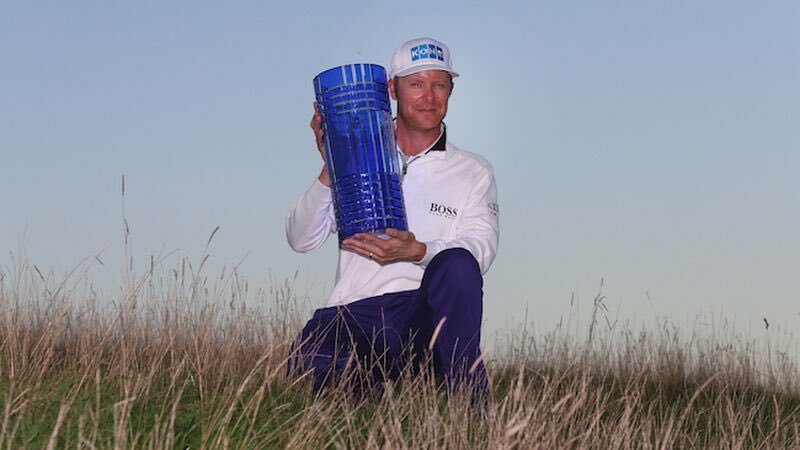 Wattel finally got his first European Tour win last year at the KLM and while that was quite an open, linksy course, Wattel also has some solid form on tighter, parkland courses. He was 4th at Wentworth in 2016, 22nd at Woburn and also 6th around Lake Karrinyup which resembles the more open South course. He hit some clutch approach shots and putts from what I saw in the team match-play event and I think he has been too readily dismissed here. At his best he has a solid enough all-round game and although he maybe lacks a little on the mental side of the game, that KLM win could yet be a turning point for a player who is still young (27!) despite having been on Tour since 2010. I think most would find him a formidable opponent in the 9-hole stroke-play format it’s just a case of getting there but at the price we have enough wiggle room to get him onboard.